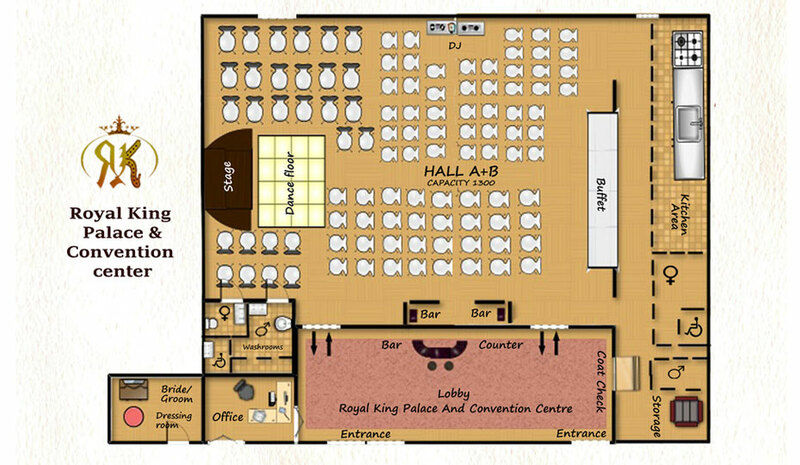 The Royal King Palace and Convention Center is one of the leading Banquet Hall in Metro Vancouver area and is catering to cities of Surrey, Delta, Richmond and Vancouver. 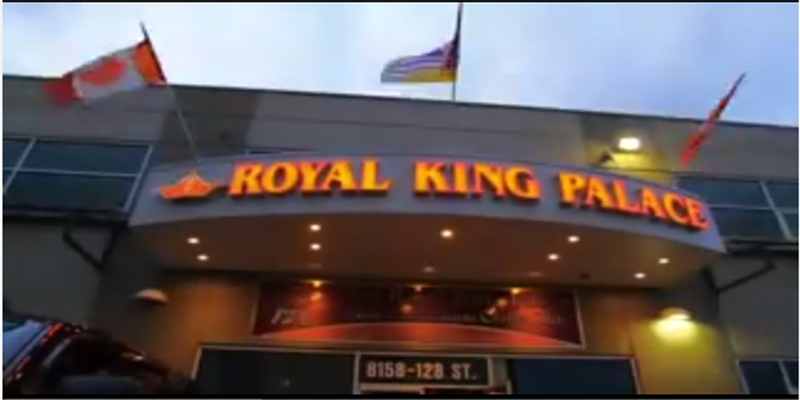 The Royal King Banquet Hall has won WEDLUX “Excellence in Event Venue” award. Our Banquet Hall is resplendent with large, elegant foyer and Hall facility is artfully decorated and can also be custom decorated based on your party or events theme. Those themes might be of wedding, wedding anniversaries, reception, beauty pageant or any other corporate or social events. With years of experience in hospitality industry the management of Banquet Hall has transformed the team into customers focus and to work towards the goal achieving and exceeding the customer’s satisfaction. For the management and the team no event is small event and no event is too big. The design of Our Banquet- Hall is elegant with a large crystal chandelier, wood paneling, crowning molding and custom designed carpeting through-out the Banquet –Hall. 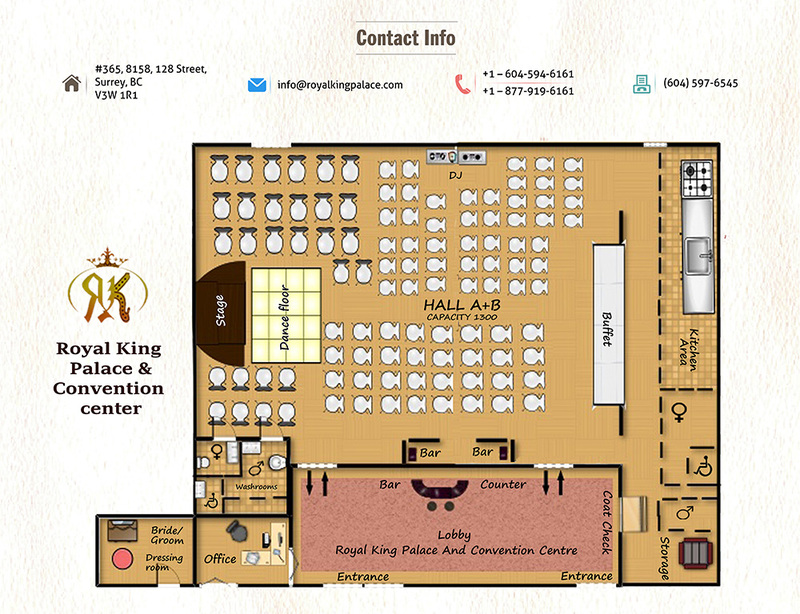 The Goal and Objective of Royal King Palace banquet Hall is to meet and exceed the expectation of all the customer in any size of event large or small. Mr. Parminder is the co-founder and Director of Royal King Palace and Conventional center. He looks after day-to-day affair of the banquet hall and convention center. He also has other line of business and is true entrepreneur. “Customer satisfaction is his motto”. “The Man Friday” is his knick name. He comes with an experience of customer relationship and facility management from a Hospitality industry. He supports the directors in achieving the highest standard of customer satisfaction and up keep of the infrastructure of the convention center. Dhoom Singh is an executive chef at Royal King Palace and Convention center and is backed by his team. Crafting the perfect menu for your guests is the main focus of the team. The design for our luxurious lobby/reception room was inspired by some of the world’s top Five-Star hotels and features an impressive and beautifully decorated large foyer – making it the perfect venue for hundreds of guests to mingle in comfortably. One of the banquet hall’s greatest attributes is that it’s all on one level so there are no stairs or elevators to maneuver, making it accessible to all of your guests, especially the elderly and the handicapped. 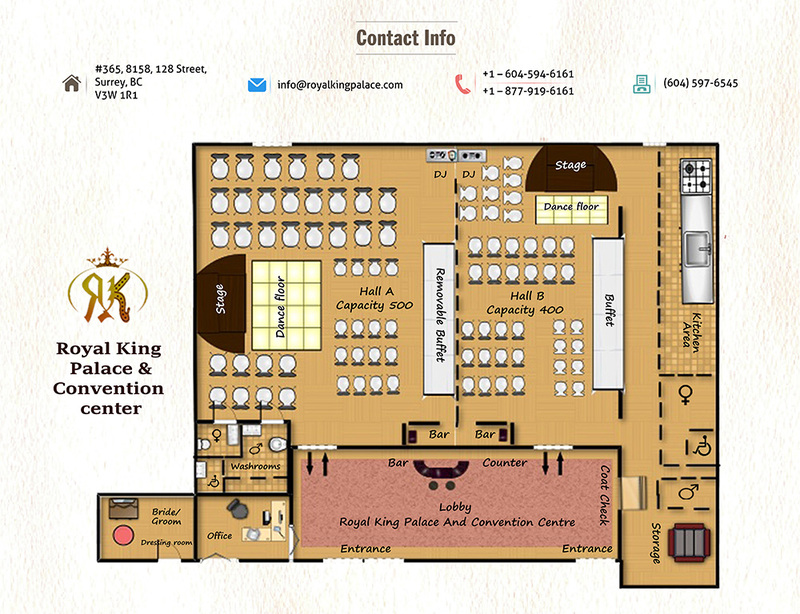 The Royal King Palace and Convention Centre consists of a large and elegant ballroom, which can be divided into two smaller sound-proof rooms and offers fixed seating for more than 1,300 guests. Meanwhile, we provide ample parking for all of your guests. Our professional in-house staff has the flexibility to cater to your entire event. We offer world-class service and white glove service by assisting you in designing all the details of your special occasion. Feel free to organize a tour of our venue so that we can take the time to discuss some of the specialty services we can arrange for you. Our in-house audiovisual company provides the audiovisual equipment and technicians, including eight projection screens and a State-of-the-art Night club lighting, a DJ and much more. Scroll below to check our special services that we offer at your request. 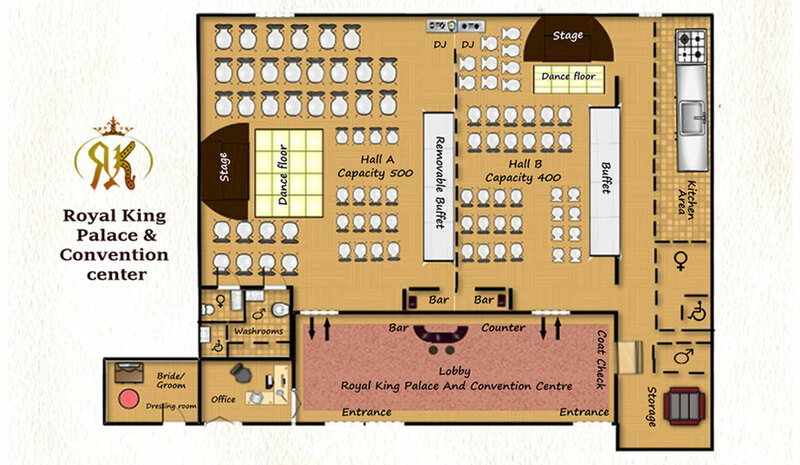 We at Royal King Palace and Convention Center at Surrey – BC is the only Banquet Hall and Convention center to have a 2 floor plan ( A and A+B ) to suite all your need. Whether you prefer a formal sit-down dinner or an elegant standing reception. 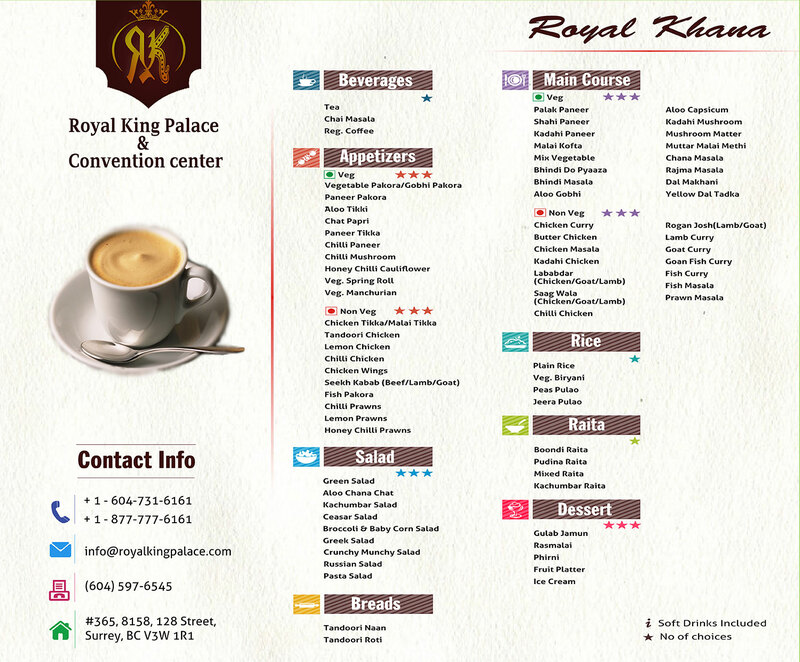 Our Royal King Palace and Convention Center banquet staff will carefully create a tantalizing and exciting menu. Our executive chef, Mr. Dhoom Singh and his team take pride in crafting the perfect menu for your guests. Mr. Dhoom Singh comes with years of culinary experience from some of the best restaurants and hotels across India and Canada. Whether you request an authentic Indian or an asian sit-down dinner, a West coast dining experience or any other ethnic fare. Mr. Dhoom Singh has the expertise to customize your carte du jour to suit your taste. Beverages (Choice of One) Tea Chai Masala Reg. Coffee Appetizers Vegetarian (Choice of Three) Vegetable Pakora/Gobhi Pakora Paneer Pakora Aloo Tikki Chat Papri Paneer Tikka. Beverages (Choice of One) Tea Chai Masala Reg. Coffee Appetizers Vegetarian (Choice of Three) Vegetable Pakora/Gobhi Pakora Paneer Pakora Aloo Tikki Chat Papri Paneer Tikka Chilli Paneer Chilli Mushroom Honey Chilli Cauliflower. Beverages (Choice of One) Tea Chai Masala Reg. Coffee Appetizers Vegetarian (Choice of Two) Vegetable Pakora/Gobhi Pakora Paneer Pakora Aloo Tikki Chat Papri Paneer Tikka . The design for our luxurious lobby reception room was inspired by some of the world’s top Five-Star hotels and features an impressive and beautifully decorated large foyer making it the perfect venue for hundreds of guests to mingle in comfortably. We offer world class service and white glove service by assisting you in designing all the details of your special occasion.